DART Rail customers who submit reports through the DART Say Something app know that one of the first questions dispatchers ask is, "What train car are you on?" Now, that question is a lot easier to answer. 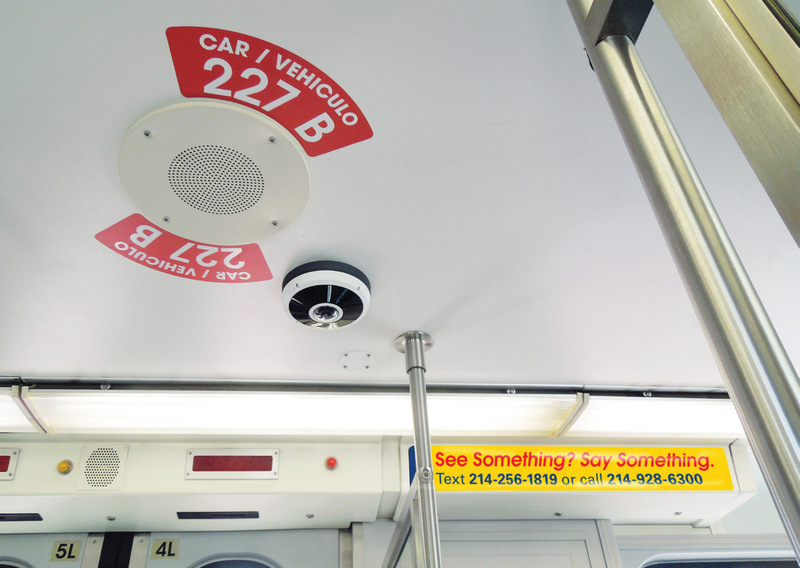 The agency has installed 28 large car number signs on every light rail vehicle (LRV) in easily visible locations. 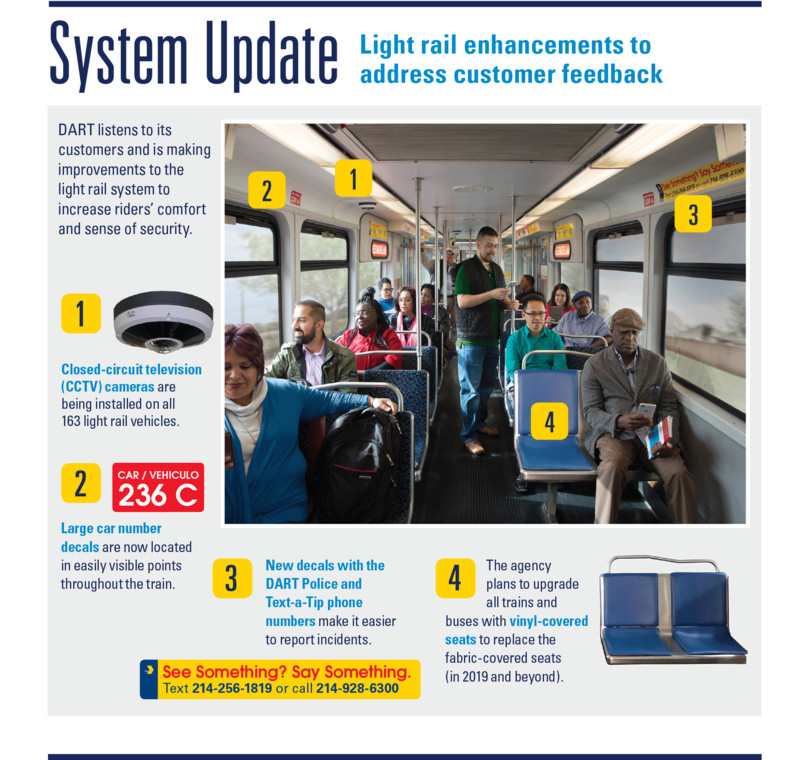 Closed-circuit television cameras, large car number decals, and new signs with the DART Police phone and texting numbers complement the DART Say Something mobile app, increasing security on the light rail trains. Each LRV has a unique number, and each vehicle - or car - has three sections: A, B and C. As daily and event ridership has increased, customers often were standing in front of the original small plaques. "We heard from customers that they didn't know where to find the car number," said Marvin Hurt, interim director of fleet engineering. "The new numbers are much friendlier." Placing numbers in multiple locations also makes it easy for riders to find the car number without looking around obviously when they are trying to report incidents discreetly. "A three-vehicle train has nine sections, and that's a lot of areas to cover when there is a situation. When customers give us the specific car and section, DART staff can respond much faster," Hurt said. The agency began installing closed-circuit television (CCTV) cameras on its light rail vehicles in June 2017. As of Nov. 1, 2018, CCTV cameras were on approximately 103 of the 163 LRVs. DART expects to have CCTV cameras on all remaining vehicles by March 2019. The agency's 650-plus buses already have cameras. DART Police, police dispatchers and rail controllers can monitor the trains remotely through these cameras. The CCTV system also records footage of the train interior and stores it for 14 days. The agency can look at archived footage when incidents on trains or at stations occur. DART plans to upgrade its buses and trains with vinyl-covered seats that will be easier to clean. DART's Operations Engineering team has been researching options to replace the cloth-covered seats on buses and trains. 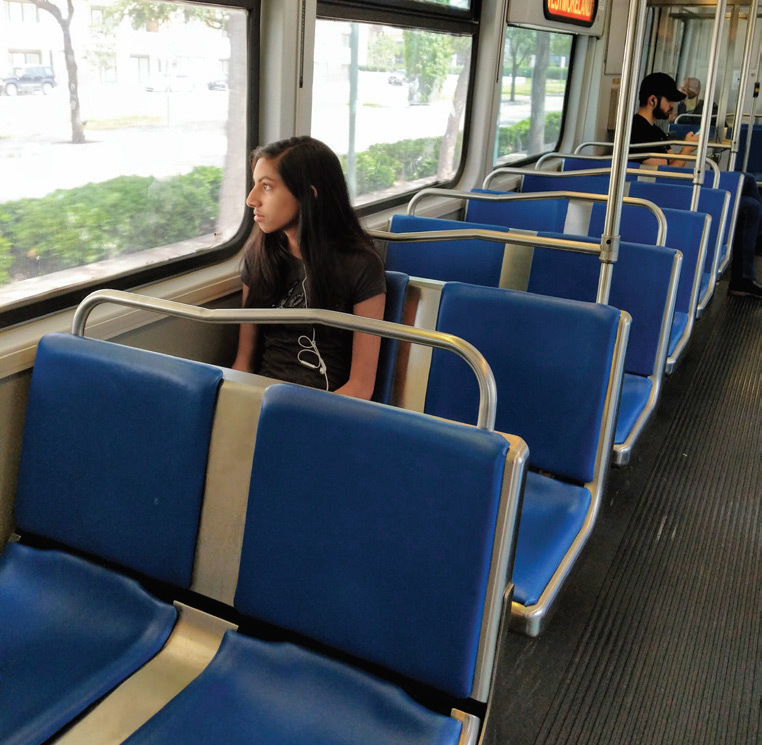 The agency gathered customer and employee feedback on two options - vinyl-covered or hard plastic - with sample seats on a bus, part of a train and a freestanding display. For comfort and sanitary reasons, most respondents preferred the vinyl-covered seats. "The transit industry collectively is beginning to move away from cloth-covered seats,"" said Yolande Harrison, project manager of energy. "Although fabric seats are comfortable, vinyl ones will be much easier to clean, which will give our customers greater peace of mind when they ride our vehicles." In 2019, DART will solicit for vendors to take on this massive project, with work anticipated to start later that year. "Replacing the seats on our buses and trains is a major undertaking, and it will take time to complete," Harrison said. The agency purchased 41 buses, which will arrive in mid-2019 from its supplier, New Flyer to expand the fleet. These new buses will come equipped with vinyl-covered seats.